I didn't see it and bumped my head! 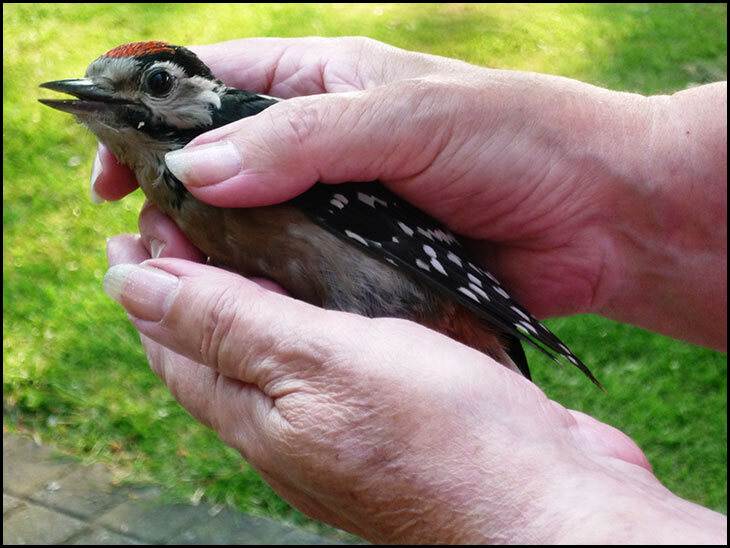 Lovely juvenille Great-spotted woodpecker. Hope it was ok? Usual thing. Finding its way about the world and crashing into a window. It was fluttering about and squeaking so I picked it up because buzzards were nearby. It did recover fully then flew away to safety. Awww Anne..you're a good 'un.. Warm and bathe my gentle voice in hands I feel so safe, but I must leave and must return to that which gave me most..